Database provides information on gene variants to clinicians, researchers and patient advocates around the world. The five-year BRCA Challenge project was funded in part by the National Cancer Institute (NCI), part of the National Institutes of Health, and through the Cancer Moonshot. A paper detailing the development of the BRCA Exchange was published January 8, 2019, in PLOS Genetics. The BRCA Exchange dataset is composed of information from existing clinical databases—the Breast Cancer Information Core, ClinVar, and the Leiden Open Variation Database—as well as population databases and data from clinicians, clinical laboratories, and researchers worldwide. It currently includes more than 20,000 unique BRCA1 and BRCA2 variants. More than 6,100 variants in the database have been classified by an expert panel, the Evidence-based Network for the Interpretation of Germline Mutant Alleles, and approximately 3,700 of these variants are known to cause disease. 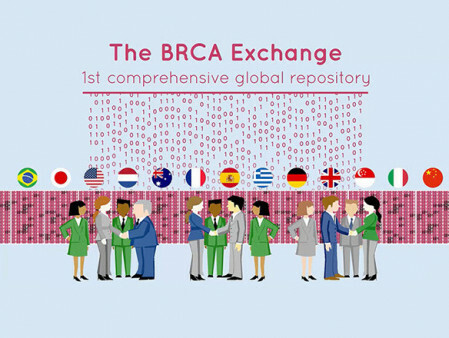 The BRCA Exchange pools variants from data resources worldwide, which should lead to inclusion of rare variants that are very occasionally observed. With a single-point-of-access website, the BRCA Exchange provides information on these gene variants to clinicians, researchers, data scientists, patients, and patient advocates. It also serves as a demonstration project showing that this kind of comprehensive data sharing—requiring collaboration across hundreds of organizations, the establishment of an infrastructure to house the information, and the development of data-sharing protocols—is possible for other cancer predisposition genes and, indeed, for genes associated with other diseases. This announcement was originally published on the National Cancer Institute website on January 9, 2019.